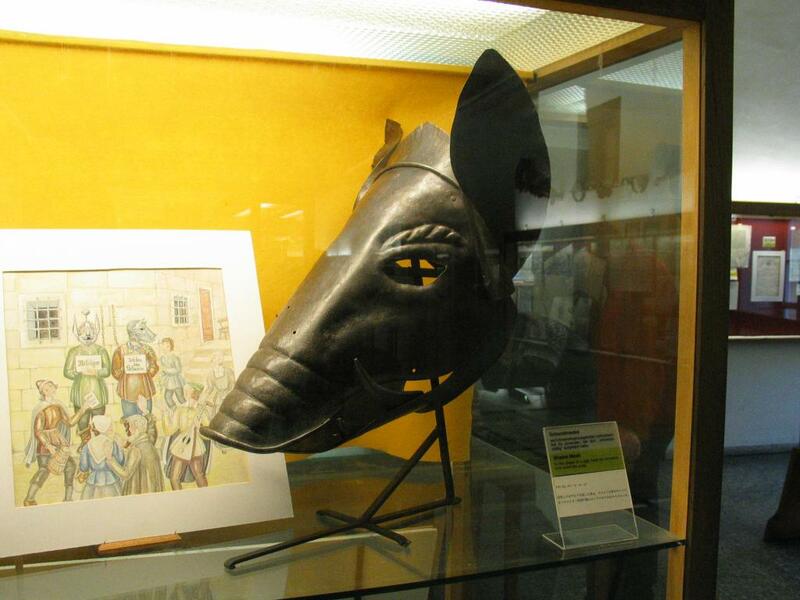 A shame mask in the Rothenburg Medieval Crime Museum. People who had offended public decency had to wear these masks as penance, as shown in the illustration. This one was used for people who displayed piggish behavior.